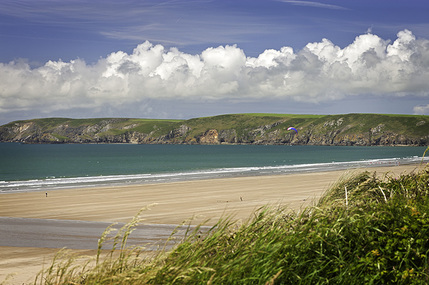 Pembrokeshire has some of the best beaches in Wales if not the United Kingdom. 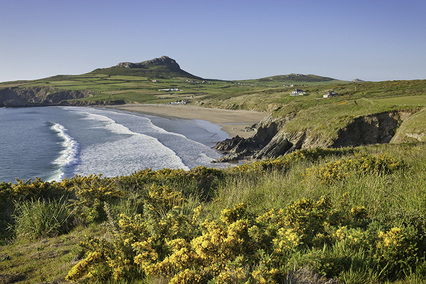 From Poppit in the North of the county to Barafundle in the south and not forgetting our own Traeth Mawr in Newport, we are truly spoilt for choice. 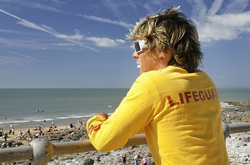 All information provided by Visit Pembrokeshire. Just a 30 minute walk from Cnapan, along the river you will reach Newport sands. 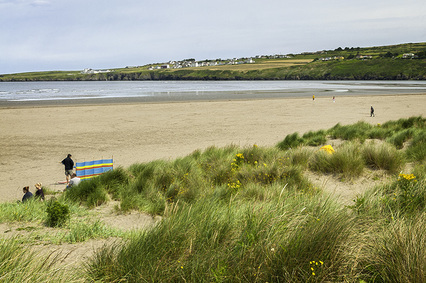 A dune backed, sandy beach is plenty big enough for all your beach activities and at low tide you can wade across the river to Newport Parrog. Shop facilities open during busy periods. Set beneath the dramatic scene of the ruins of St Brynach's church, washed away in the great storm of 1859. 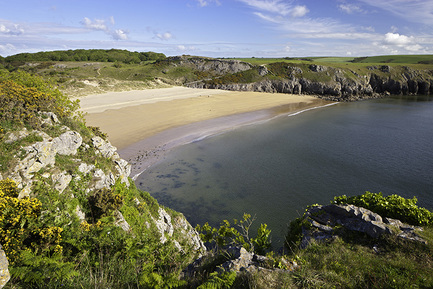 Cwm yr Eglwys is a lovely sheltered inlet protected from the winds by Dinas head. 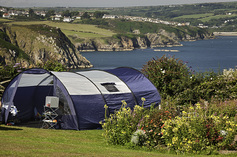 Ideal for young children or those who wish to kayak or canoe in sheltered waters. 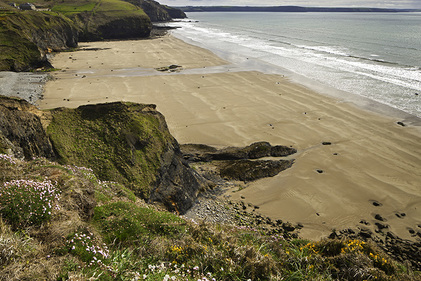 From the mouth of the river Teifi, this large expanse of sand stretches right across to Gwbert in Ceredigion. The beach has a large section of dunes to explore and is also popular fishing spot notably for Sewin and Bass. 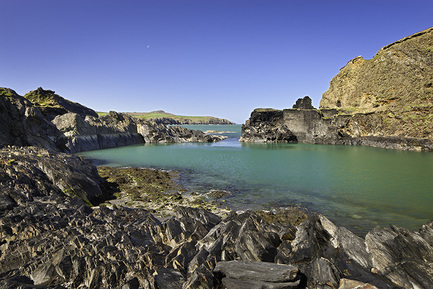 A small rocky cove at high tide, sandwiched between towering cliffs 1 mile south of St Davids. 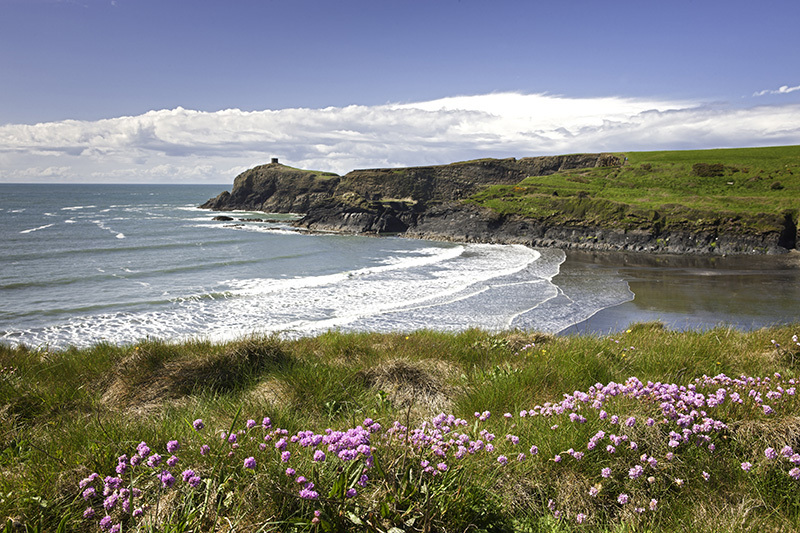 The rocks around Caerfai are multi coloured with a mixture of grey, green and vivid pink. 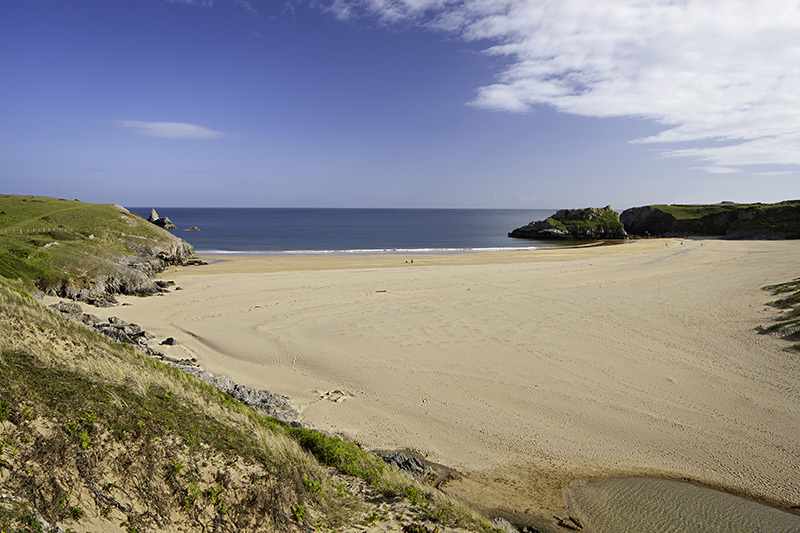 At low tide a sandy beach is revealed with plenty of rock pools to explore. Beware as there are strong currents in the sea off Caerfai. Pebbles and extraordinarily dark sand made of pounded grey slate form this rural beach. The same slate gives a brilliant deep blue colour to the water in the 'Blue Lagoon'; a beautiful little harbour - a breached quarry - just to the north of the beach. A long, narrow sandy and pebble beach at high tide but at low tide a huge expanse of firm sand is revealed with plenty of room for everyone - and it can get busy during the summer months due to its safe bathing. 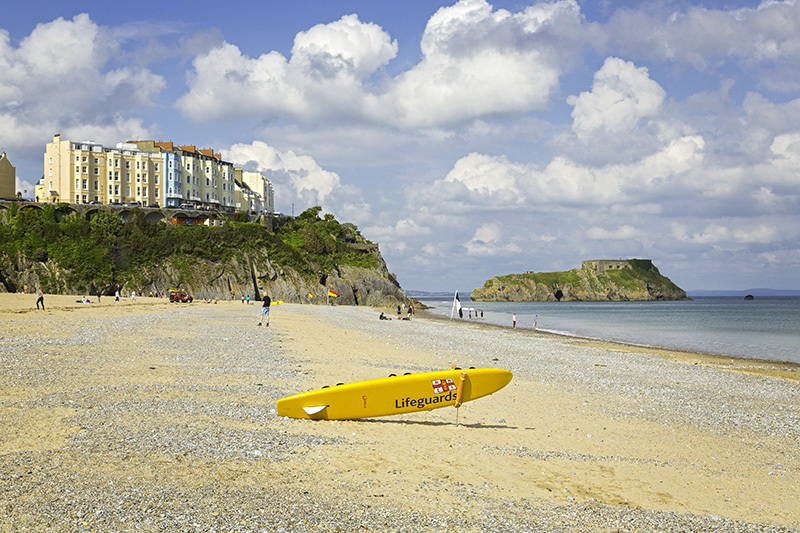 Tenby is unique in that it offers three fantastic beaches. 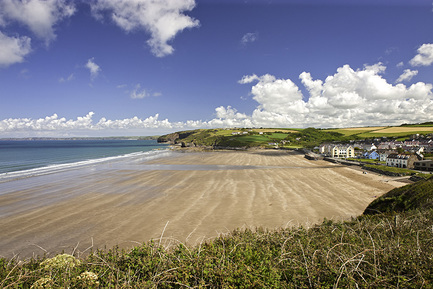 As well as the vast expanse of the south beach with a mile long stretch of sand, there are also the Castle and Harbour beaches each with alternative views and charm. 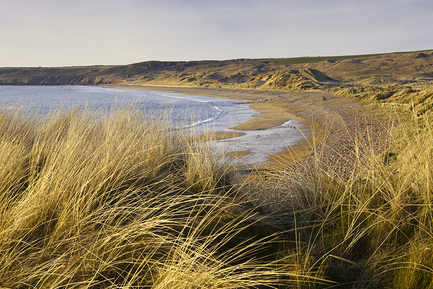 A wonderful expanse of golden sand which leads onto the Bosherston lily ponds. A truly special place which is definitely worth a visit especially when the lilies are in full flower. At almost 2 miles long this vast expanse of sand backed by a large pebble bank, which was deposited in the great storm of 1859. 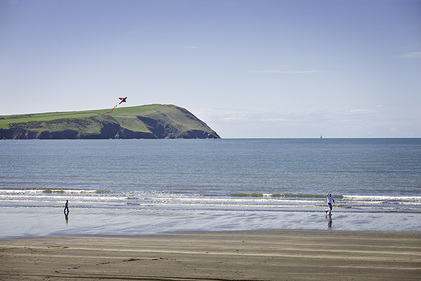 As it is slightly more exposed the beach is popular with kite surfers and surfers. A close walk from Abereiddy bay are the ruins of the 'Blue Lagoon', a small slate quarry, now flooded by the sea having broken in. The Blue Lagoon is 25m deep, according to a nearby Pembrokeshire National Park information board. Despite the name, the water is always a distinct greenish hue, owing to the mineral content within the quarry. 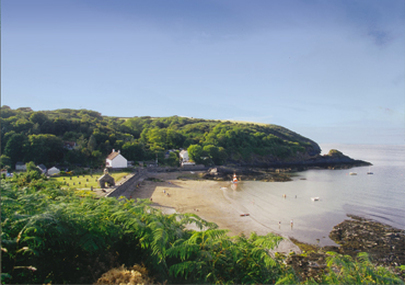 The lagoon is a favourite for adventure groups practicing coasteering, and also diving. 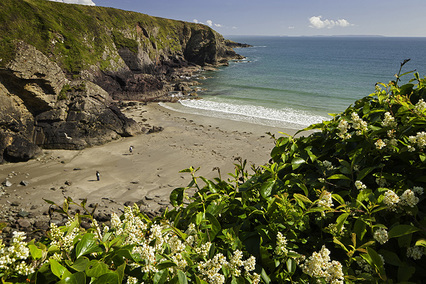 Druidstone is a secluded long, sandy beach enclosed on three sides by steep cliffs.